Australia cricket great and world cricket committee member Ricky Ponting, pictured April 2018, says the new 100-balls-per-side competition is at its "embryonic stage"
Marylebone Cricket Club (MCC) officials gave a guarded welcome to plans for a new 100-balls-per-side competition in the English domestic game after being told it would still "look like a normal game of cricket". The England and Wales Cricket Board's proposal for the new tournament, set to launch in 2020, has proved hugely controversial. Critics have bemoaned the 'dumbing down' of the game given plans to ditch traditional overs and questioned the need for a new format given the global popularity of Twenty20. ECB chief commercial officer Sanjay Patel told MCC's world cricket committee, an advisory group chaired by former England captain Mike Gatting and whose members include MCC head of cricket John Stephenson and Australia great Ricky Ponting, that prospective playing conditions would likely include 20 sequences of five balls rather than the traditional six-ball over. "Basically, they're still developing the concept," Stephenson told reporters at Lord's on Tuesday. "As custodians of the Laws of the game, what we're concerned about is if you modify the game of cricket too much it ceases to look like cricket. "(But) what we heard this morning from Sanjay was quite reassuring... they're still developing how the final format will be." The former England international added: "The current thinking is 20 five-ball 'overs', but I think today was part of their consultation. "I think at the maximum, they're looking at having a substitute fielder. But I think what that's about is performance -- having the best fielders out there at the right time to field. "But at the moment, as far as I can make out, they'll have 11 batsmen, they won't have 'overs' per se but 100 balls, 20 balls per bowler. "Apart from that, it'll look like a normal game of cricket." 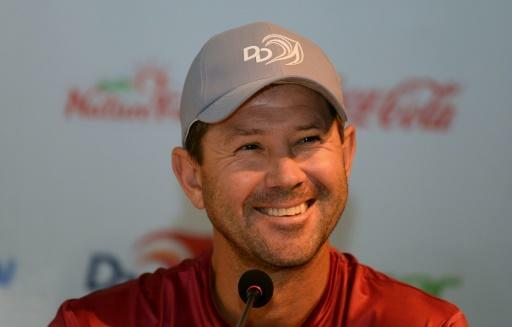 Ponting, who was alongside Gatting and Stephenson, added: "The reasons they are looking for something different is that the T20 game probably hasn't reached a level (of popularity) in England that it has in some other countries. "A lot of the feedback they heard from people that are not necessarily cricket lovers is that they find the game of cricket boring, and not interesting. "So they're trying to find a way to attract the audiences and make the game slightly different." But further details from the ECB remain scarce and former Australia captain Ponting said: "I'm not sure they've totally got their head around how they want the game to look... they're even talking about it not being called overs, just 100 balls. "It's 20 lots of five, the way they're looking at it." He added: "There's all sorts of things they need to get their heads around -- it's still at the very embryonic stage. "Time is going to come up on them pretty quickly, and I guess the more focus groups and discussions they can have with committees and panels like us, the better off they're going to be in the long run."